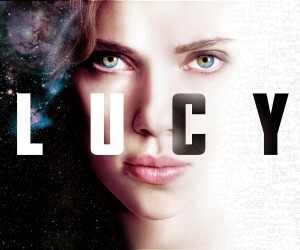 I just finished watching the movie Lucy, starring Scarlett Johansen and Morgan Freeman. On the face of it, I was immediately drawn in by the two main stars, both of whom I love watching, as well as the particular science behind this film: the study of brain use. This film relies on the idea that we use only 10% of our brains. I’m also fascinated by the study of cosmology (not to be confused with cosmetology, the study of beautifying the face, hair and skin), which is a branch of metaphysics that deals with the nature of the universe or alternately, a theory or doctrine describing the natural order of the universe. I’m also interested in origin stories of cultures as well archeology and mythology. 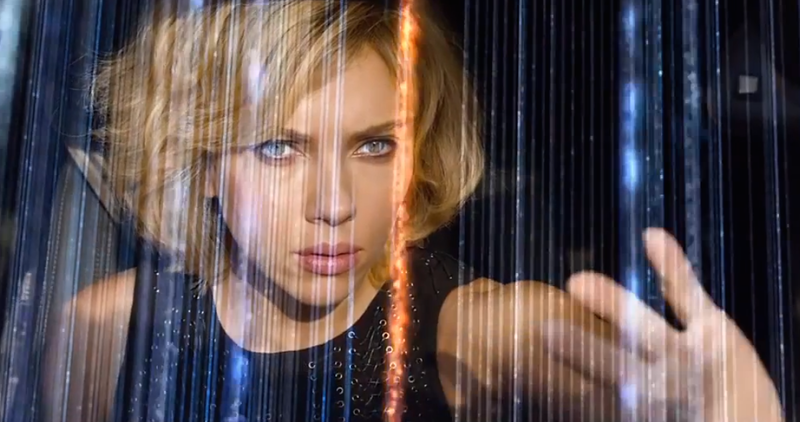 This has all converged with Morgan Freeman, Scarlett Johansen and Luc Besson to produce the movie Lucy. The movie is fascinating and I love all the science in it, I really do. It’s my kind of science, as it were. However, there were some plot holes. Which make me nuts. Not enough to not enjoy the movie, but enough to disrupt my suspension of disbelief and distract me for a moment before getting sucked back in. The basic premise is that Lucy-with-no-last-name is hoodwinked into delivering a case for her boyfriend to a mysterious man while they are in China. Turns out, the man is a powerful, nasty crime/drug lord who forces Lucy to be a drug mule, carrying a bag of a new drug he’s had stitched into her body that he hopes to get out onto the streets. Only, the drug bag leaks and spills the dangerous drug directly into Lucy’s system. This drug is supposedly powerful enough, at least in the dose she receives, to jumpstart her brain into using more than the 10% it usually does. She escapes. A chase begins, her brain gaining higher percentages of use along the way. Morgan Freeman is a doctor studying the capacity of the brain, whom Lucy turns to for assistance. The director/writer, Luc Besson, goes to a lot of trouble to show us the science behind this through Morgan Freeman’s character’s lecture in a Paris university. Lucy herself tells us she is beyond emotion. And yet…she kills some people and not others. The people she chooses not to kill impacts her later on, when they come for her again. This happens several times. If she does not have emotional ties anymore, and she has the capacity to kill with her freaking *brain*, and she’s so super-smart, why would you leave behind the greatest threat to your existence when you had a chance to kill him? That is a weakness in the storytelling. Or more accurately, a weakness in the world-building, because there is now an inconsistency that is noticeable by the audience: you told me the rules, but she is not playing by them. Of course, if she had shot a few of the characters early on when she had the chance, the movie would have ended right there. Sure the movie is exciting and fast-paced. It’s even very intelligent in a lot of places. But it has a few waggling loose ends that are mildly bothersome. This movie definitely made me think. I enjoy a movie that does not assume I, the viewer, is stupid. It was fast-paced, which I also always enjoy. The car chase scene was one of the best I’ve ever seen, bar none. I especially liked the repeated viewing from other drivers as they had accidents or swerved to get out of her way. That was awesome and a technique that is not used often enough, in my opinion. The cast was excellent and international, which is great, however, you know what I’m going to say: Not enough women, by far. The only female characters we encounter are Lucy, of course, who is running the show, her mother, whom we only hear as a voice on the phone, her roommate, who is a typical 20-something partier that we see for about 3 minutes (and all they talk about is her boyfriend!!) and the very first woman, also called “Lucy,” we see a few flashes of her. However, all the bad guys, her main nemesis, the other drug mules, the police force later assisting her, all the scientists, the doctor she goes to at one point, even her *taxi driver,* are all male. I mean, this cast is overwhelmingly male. There isn’t even a token female in the large numbers of extras playing cops and bad guys. Really, Mr. Besson? Honestly. It would have been cool to have had a female cop helping her out, but instead they have an Egyptian actor (who was great, really, I liked him) that she kisses at one point. Of course. Because even with great science concepts here and expanding brain capacity, she still feels the need to kiss the man who’s helping her. And he tells her he doesn’t think she needs his help, but ends up helplessly following her around anyway. Why? Because of that kiss. Because that’s all the more complicated men are: sexual urge. Sigh. Not to mention the scene where one of her captures gropes her, then beats her; typical weak female fare. In another, after she has been affected by the drug, she entices with her body in order to escape. Even though her brain is crazy big. That’s all she can come up with. What the hell? Still, the science part of it saves the day. As does Scarlett Johansen’s nuanced performance and character growth over time. It contrasted so nicely with all the chaos and with the stereotypical, one-track mind men she had on her tail. It elevated the storyline. Overall: intense, entertaining, makes you think, fast-paced. Oh, and Morgan Freeman. If you like any of those things, by all means, check it out! I give it 4 out of 5 stars, just for the angles I liked. But it really could have been spectacular. Cool tools for understanding your child’s mind…if used advisedly.